I've been putting together an Army for wargaming playtesting and wanted something with a 50's Sci-Fi B-movie feel. Reaper has recently come out with some scientist and there are a hand-full of doctors and scientist from other manufacturers so I created the Thomas Dolby Effect. 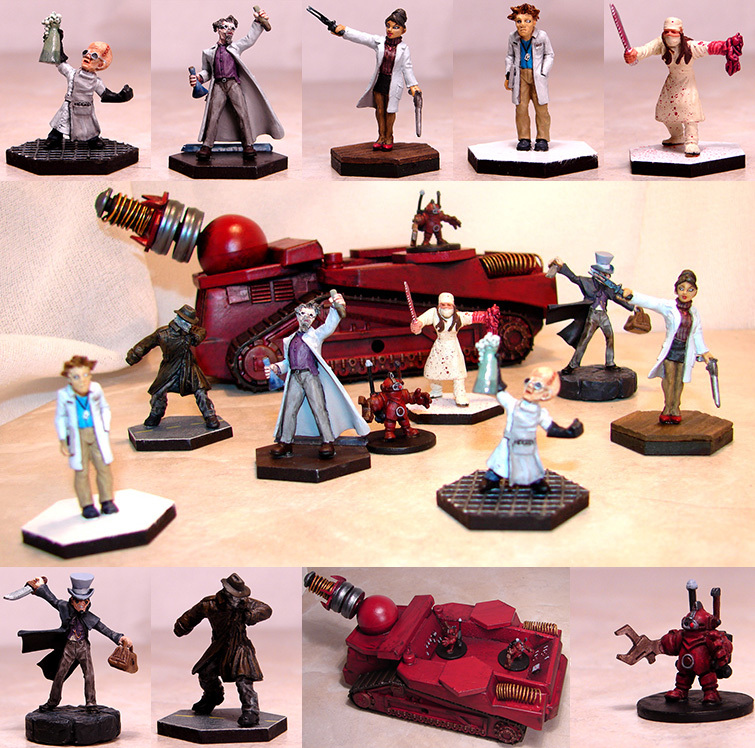 Most of the miniatures are Chronoscope. The Lab Tech is from Hasslefree and the Morgue Attendant is a Horrorclix fig. The Tesla Cannon is a converted $5 Tonka toy. It still has sounds and lights too. I have many more to add to this army but at least I have enough to start playing.